The Grand Fleet, the main Royal Navy fleet during World War I, was based at Scapa Flow and played its part in the biggest fleet action of the war, the Battle of Jutland. 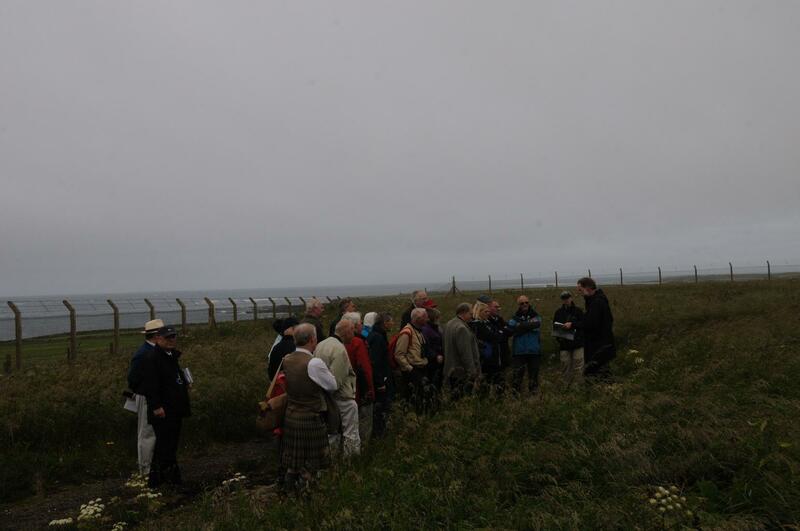 This wonderful voyage to Orcadia explores the Naval history of Scotland's far north, brought to life by guest speaker Rear Admiral John Lippiett. Our grateful thanks is extended to guest, Mr John Noorani who captured the vast majority of images shown on the blog for this cruise. 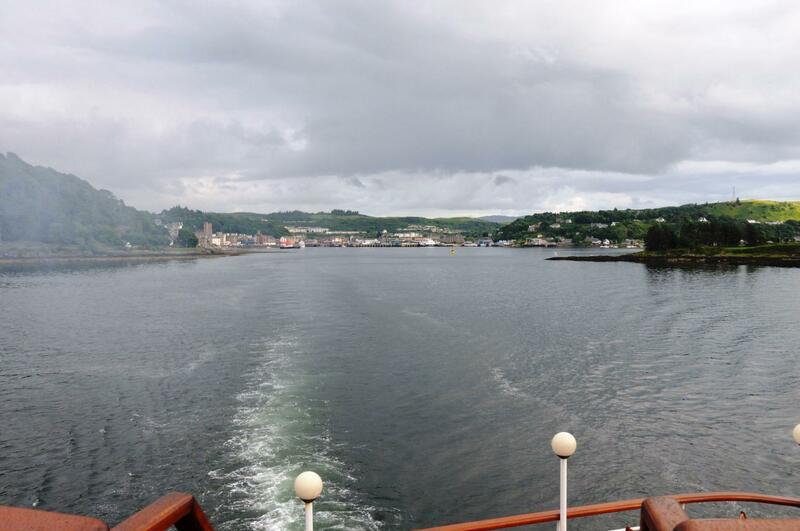 Our northerly adventure sadly concluded today and guests disembarked in Invergordon for their return journeys home. From our berth in Invergordon we headed to Dunrobin Castle the most northerly of Scotland's great houses and the largest in the Northern Highlands with 189 rooms. Dunrobin Castle is also one of Britain's oldest continuously inhabited houses dating back to the early 1300s, home to the Earls and later, the Dukes of Sutherland. 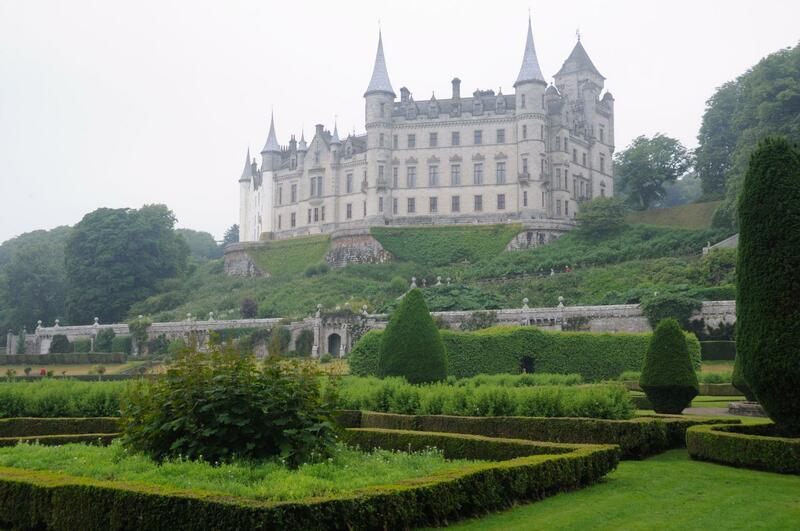 Dunrobin Castle - Photograph courtesy of Mr John Noorani. 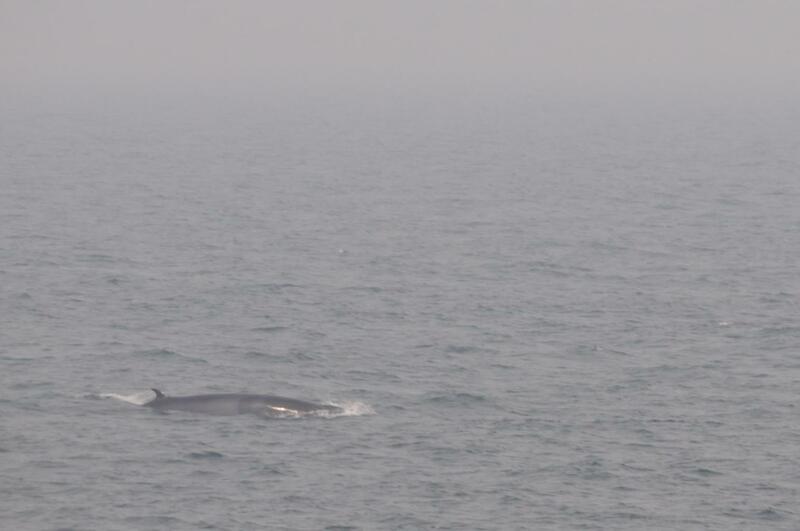 Rare sighting of a Minke Whale captured en route to Invergordon - Photograph courtesy of Mr John Noorani. Today's morning visit was to Lyness on a gloriously sunny day. The focus of the visit was the Visitor Centre situated in the Fuel Oil Pumphouse and the remaining above ground Oil Tank. 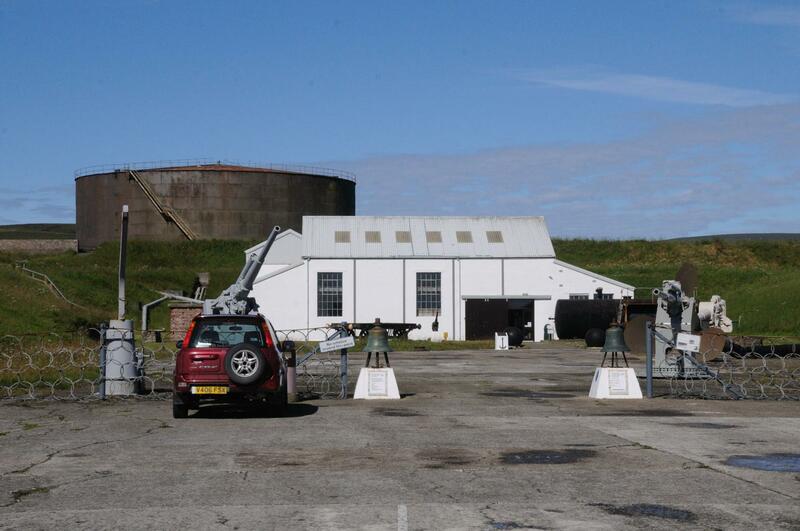 Lyness Museum - Photograph courtesy of Mr John Noorani. In the cemetery lie the remains of some of the victims of the Royal Oak sinking. 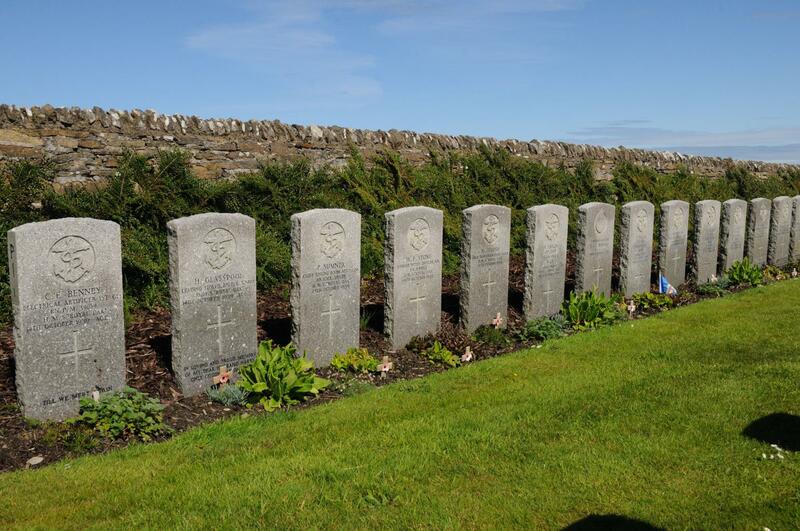 Royal Oak Graves - Photograph courtesy of Mr John Noorani. 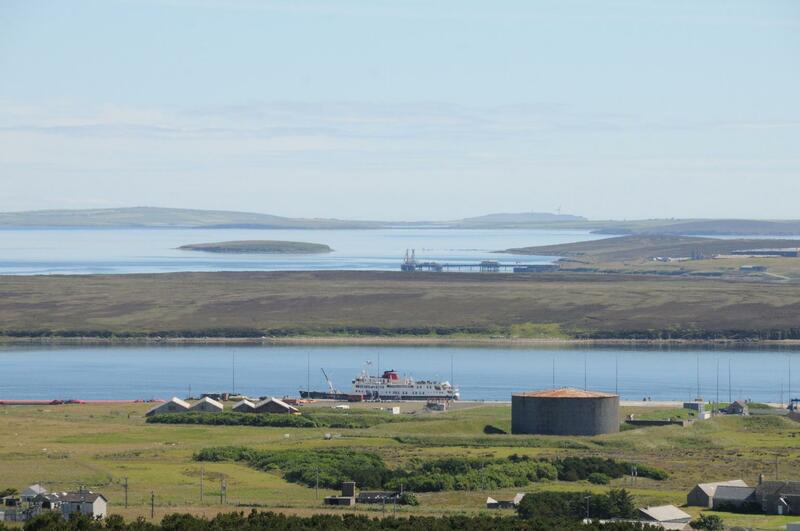 The Communications Centre is situated high up on Wee Frea Hill which gives commanding views of Lyness and Scapa Flow. Lyness - Photograph courtesy of Mr John Noorani. During the afternoon we made our maiden visit to Stroma. In addition to the abandoned houses there was abundant wildlife, including a flock of Puffins. 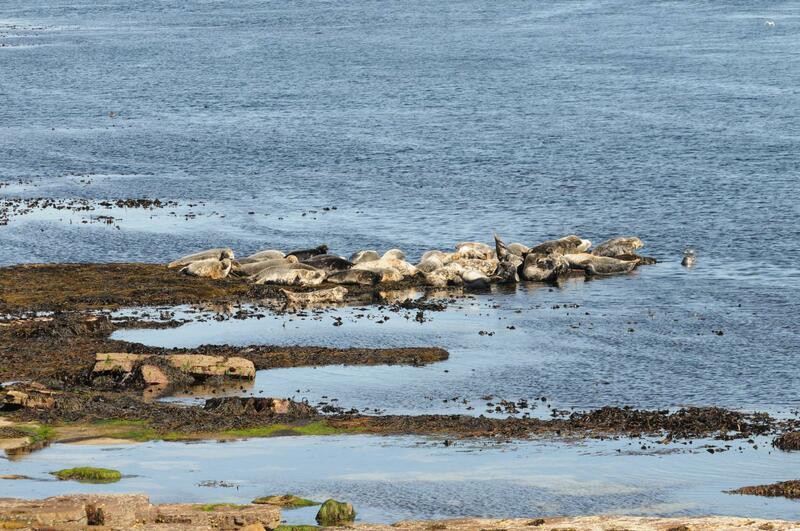 Stroma Seals - Photograph courtesy of Mr John Noorani. Our morning visit was to the Italian Chapel on Lamb Holm, the Churchill Barriers and Royal Oak memorial garden. 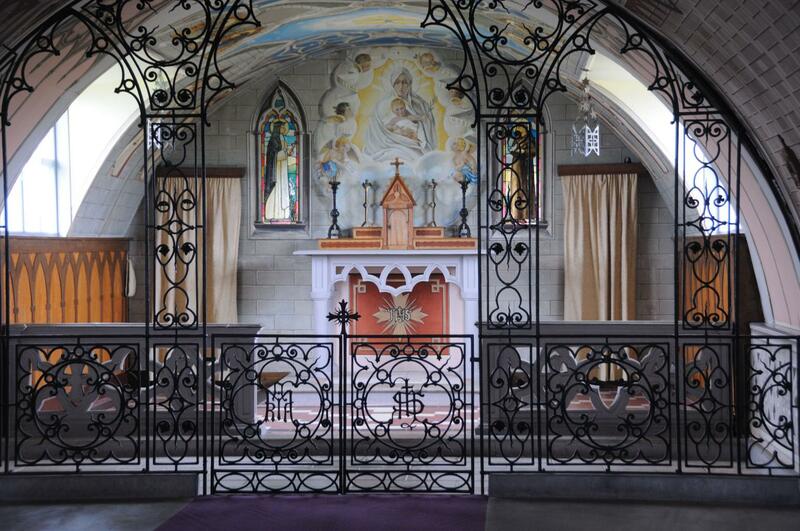 Italian Chapel - Photograph courtesy of Mr John Noorani. 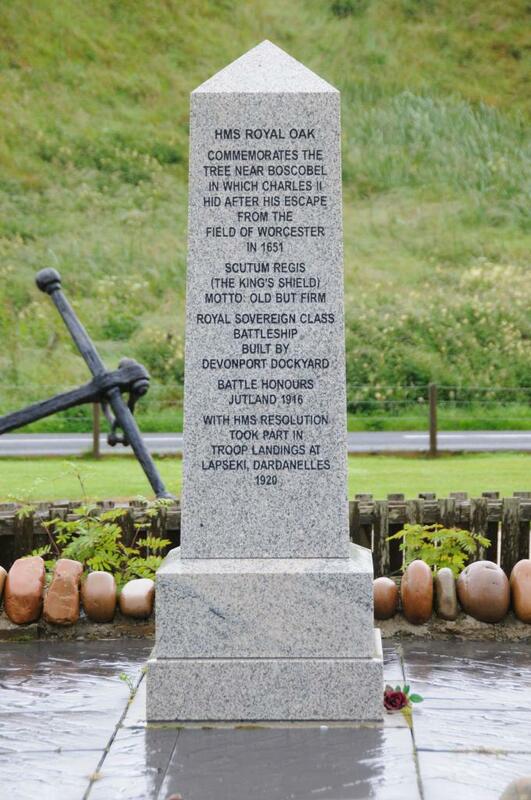 Royal Oak Monument - Photograph courtesy of Mr John Noorani. 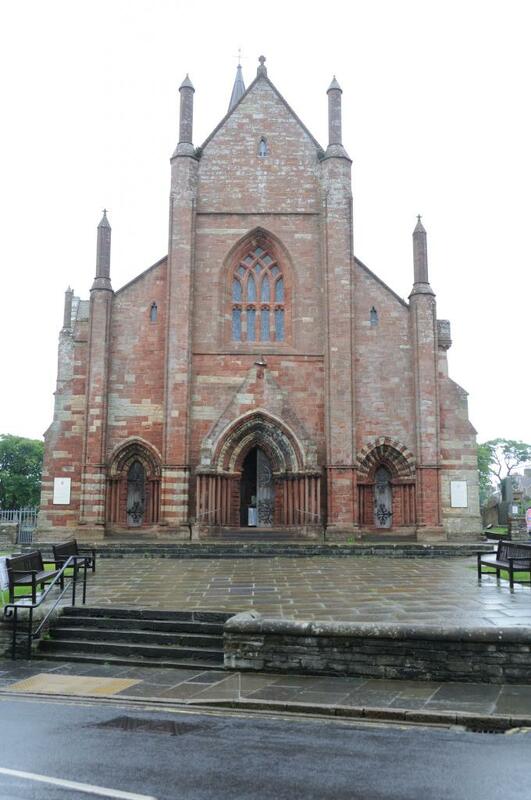 St Magnus Cathedral - Photograph courtesy of Mr John Noorani. 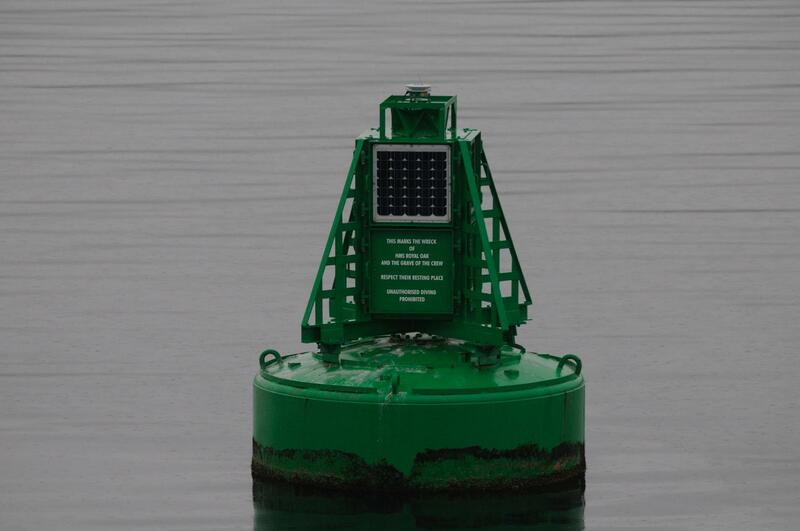 On passage to Lyness some five Orca were seen in Hoxa Sound and we stopped at the Royal Oak marker bouy. 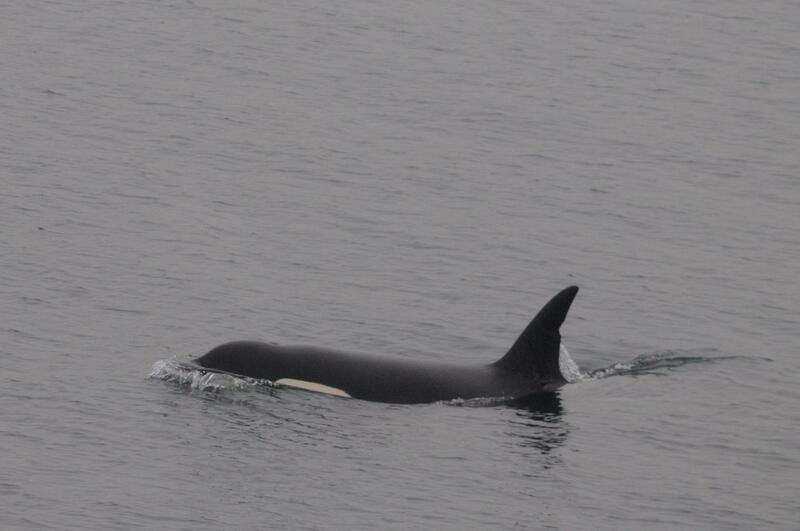 Orca - Photograph courtesy of Mr John Noorani. After his cruise Mr Noorani undertook some detective work and with the help of the Icelandic Orca Project was able to positively identify 2 of the Orca seen. The top photograph is 997 and IS408 was also positively identified (bottom photograph, nearest animal). 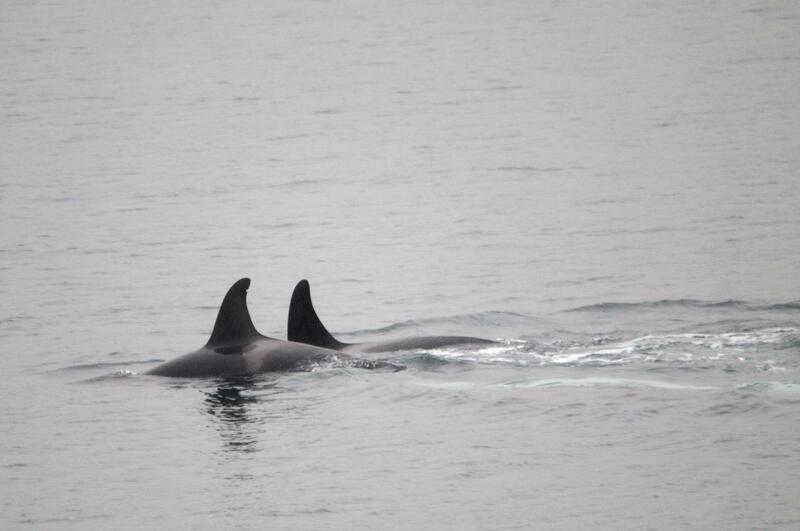 The Icelandic Orca Project told Mr Noorani that most likely the other animal next to IS408 is possibly IS244 but can not be confirmed without a photo of its fin and saddle patch. 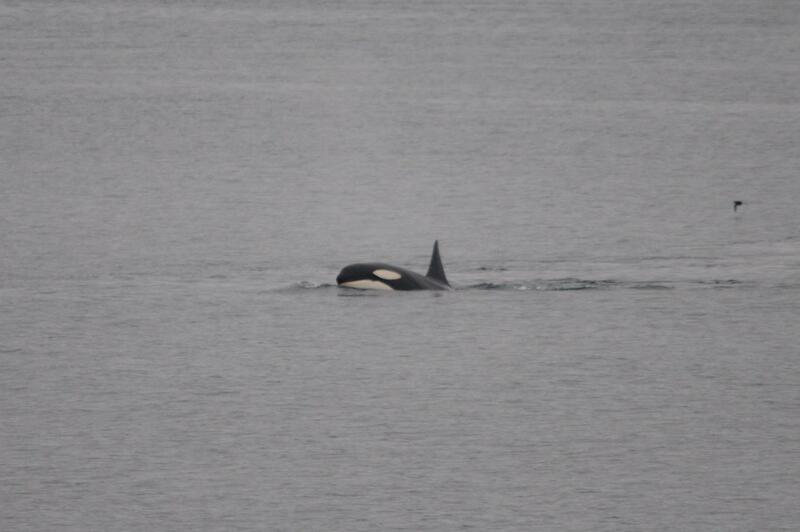 The group appears to be composed of 997, IS172, IS244, IS408 and a calf so that aligns with the group of 5 we saw. They think IS408 is a juvenile offspring of 997. She was first sighted in Iceland in 1999 and since then has been regularly seen both in Iceland and Scotland, and seems to travel to Scotland in the summer and spend the winter in Iceland. When in Iceland they often seem to feed on herring, but when in Scottish waters they have frequently been seen apparently targeting seals. In fact, they were seen on the 10th July in Fair Isle attacking and eating two grey seals. Royal Oak Bouy - Photograph courtesy of Mr John Noorani. 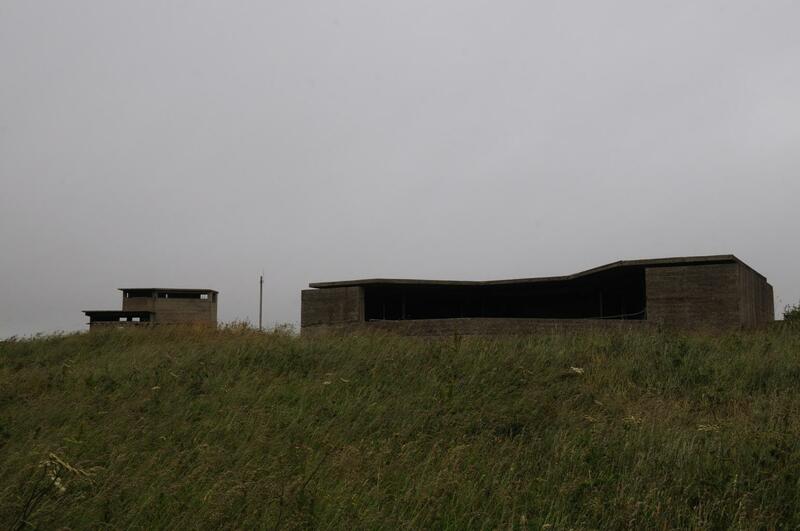 Today saw us visit the Ness Battery, a World War II gun emplacement for the defence of Scapa Flow and where the overall control and co-ordination of all of the defences was undertaken. Here our guests are being briefed by the local guide. Our grateful thanks is extended to Mr Noorani once again for today's images. 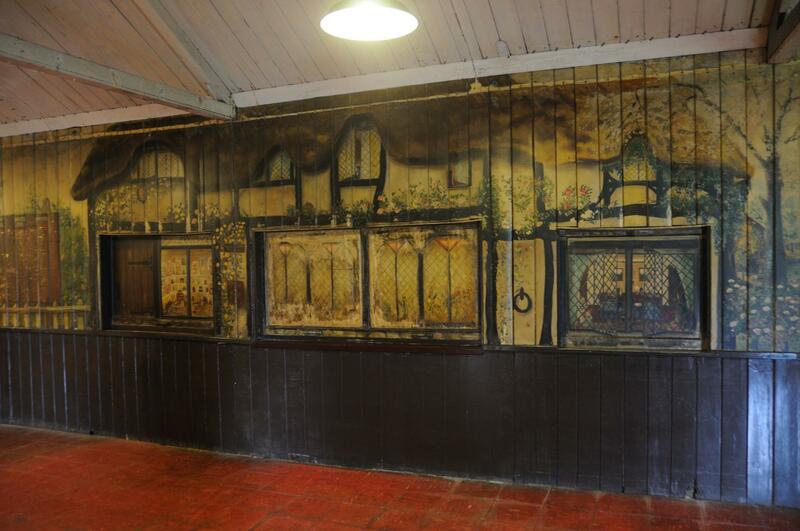 Of particular interest was the inside of the Mess Hut which had painted walls of country scenes, probably Kentish inspired. 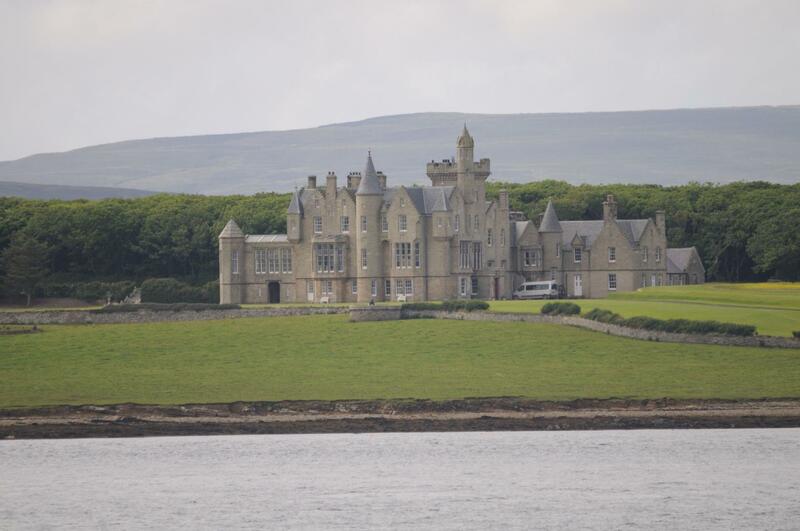 As we approached Kirkwall an excellent view was had of Balfour Castle on Shapensay. 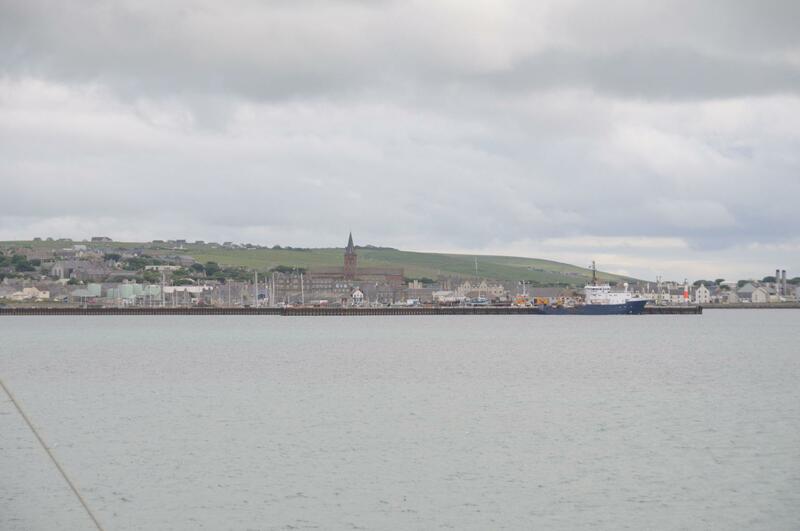 Kirkwall Cathedral dominated the skyline at Kirkwall as we approached. 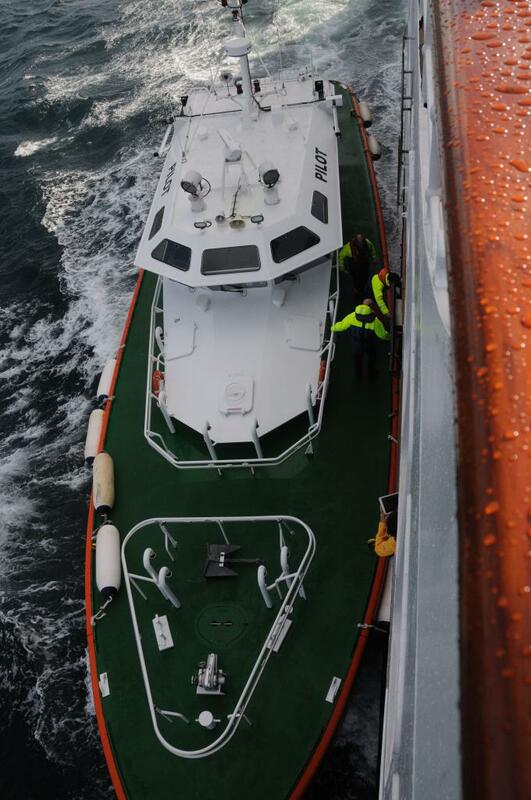 There was also an old friend from Oban, NLV Pole Star waiting to greet M.V. Hebridean Princess. 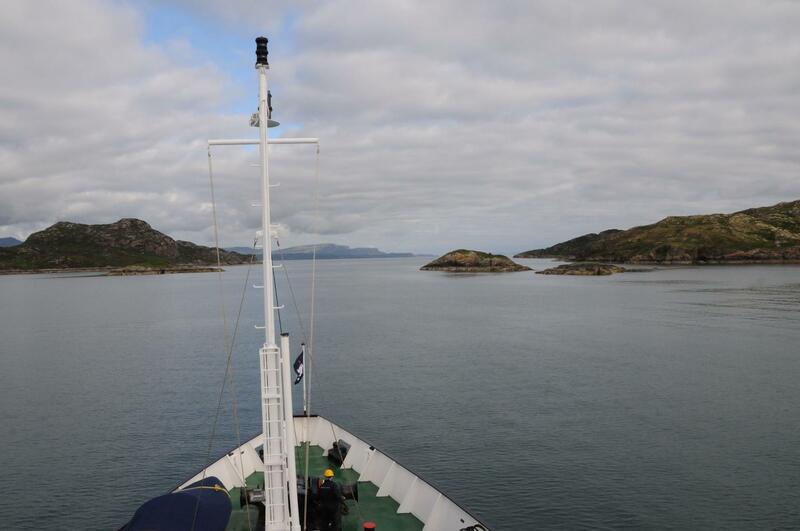 Our overnight anchorage looking towards the head of Loch Inchard - Photograph courtesy of Mr John Noorani. The sun shone on Kinlichbervie, the most northerly port on the west coast of Scotland. It is reported to be 60 miles from the nearest supermarket and both the bank and cinema are brought here on the back of a lorry! Kinlochbervie - Photograph courtesy of Mr John Noorani. We rounded Cape Wrath. Wrath originates from the Viking name which translates as ‘Turning Point’ as that is where they altered course when transiting the North Coast. The seas, however, could suggest another meaning. 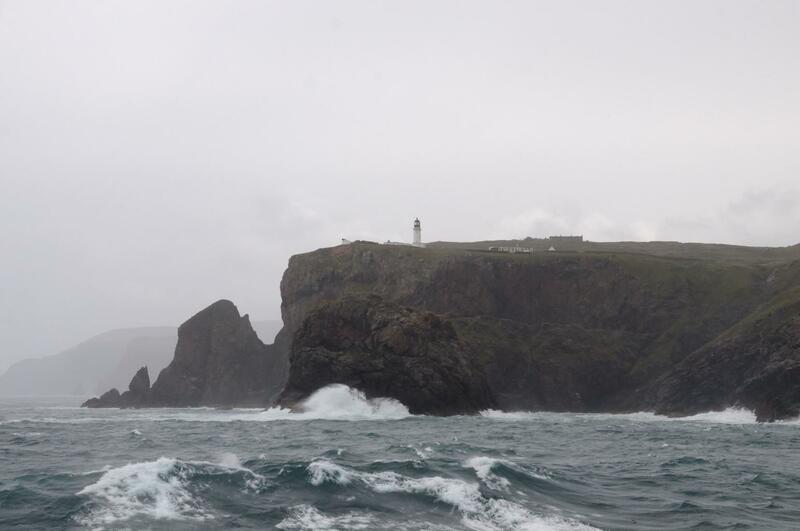 Cape Wrath - Photograph courtesy of Mr John Noorani. 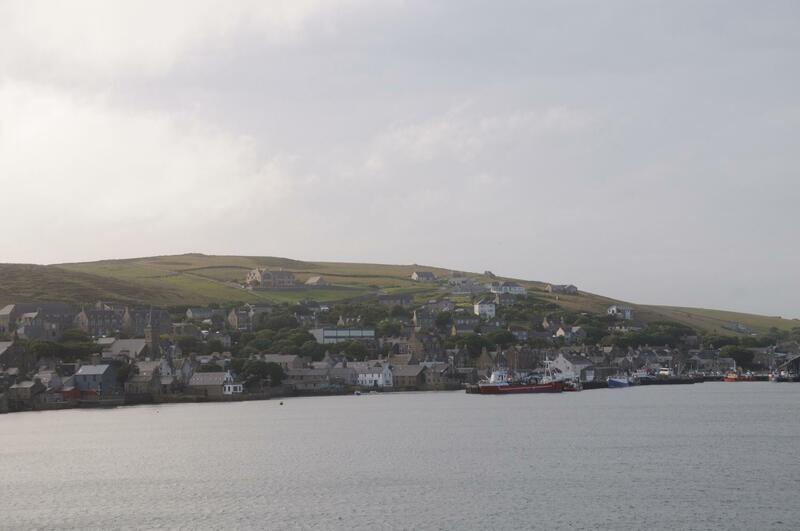 Before our arrival in Stromess, the pilot boards from the Cutter ‘John Rae’ to take us through Scapa Flow to Stromness. Both of the below photographs are courtesy of John Noorani. 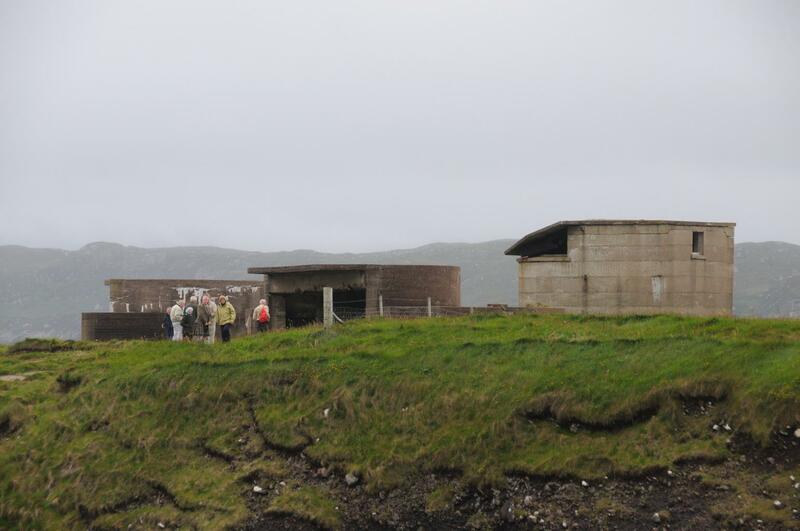 Our morning has been spent visiting the World War II coastal battery situated at Arnish Point on the Isle of Lewis followed by a visit to the Lews Castle Museum where guests observed the hand crafted Lewis Chessmen. 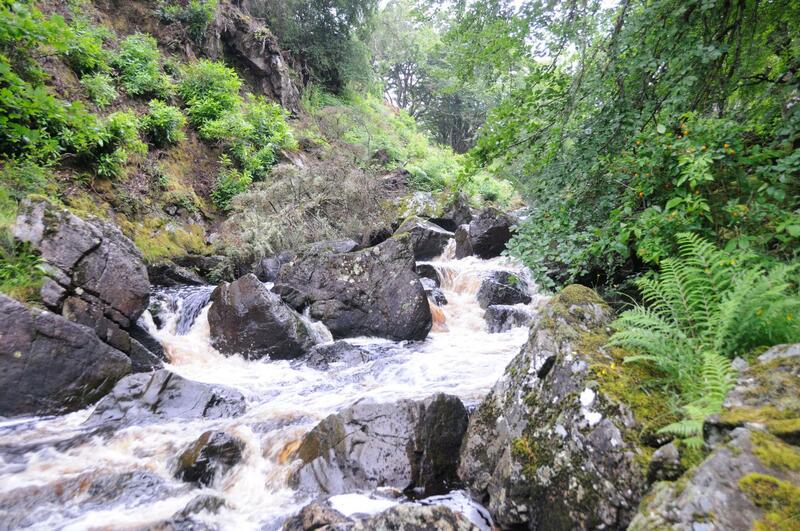 The River Creed at the Lews Castle Park was also in full flow. 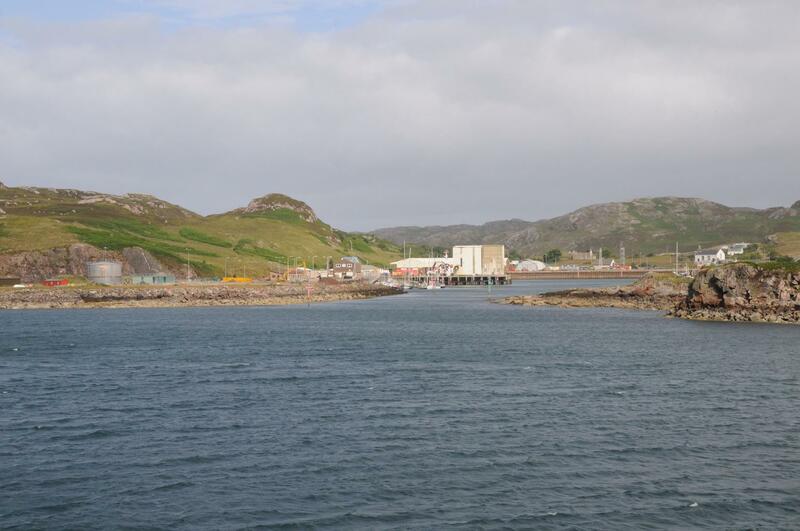 Today Captain Heaton sailed through Kyle Rona, which is a rare piece of waterway to be sailed by a ship of any size and is the second time for Hebridean Princess. 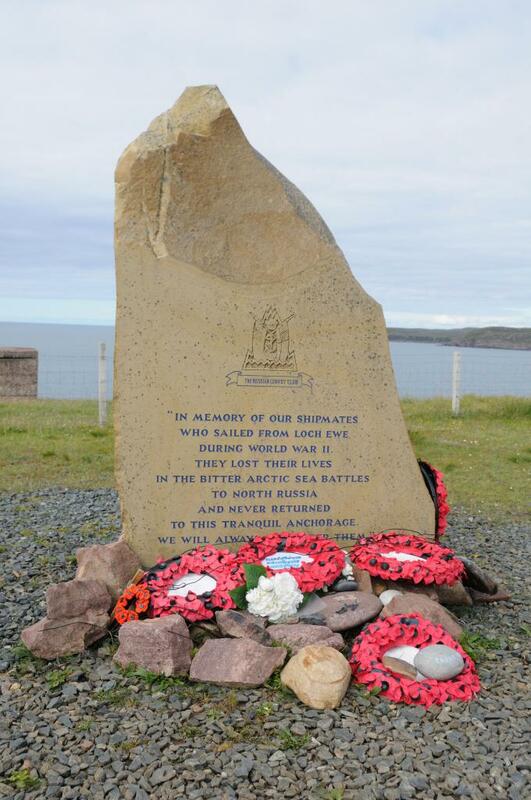 Sailing to Loch Ewe a number of Harbour Porpoises were sighted and after visiting the Arctic Convoy Museum guests went on to Rubha nan Sasan where the Memorial to those who served on the Convoys is located. It overlooks the entrance to Loch Ewe. Departing from here The Minch was flat calm during our steam to Stornoway. 1st Officer Caz Palmer was lucky enough to witness a pod of dolphins inspecting the hull of the ship at anchor in Bloody Bay at 04:30 this morning proving there are perks to the early watch! 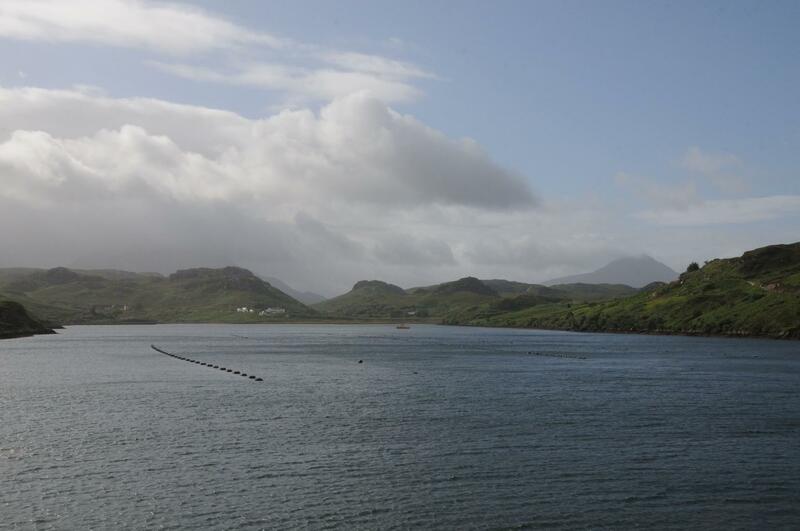 The morning was spent cruising past the Small Isles, along the Sound of Sleat, Kyle Rhea and under the Skye Bridge on passage to the Isle of Raasay for our afternoon visit to the Word War I Prisoner of War camp at Inverarish. Whilst ashore on Raasay our guest speaker John Lippiett manged to take these amazing pictures of a sea eagle. 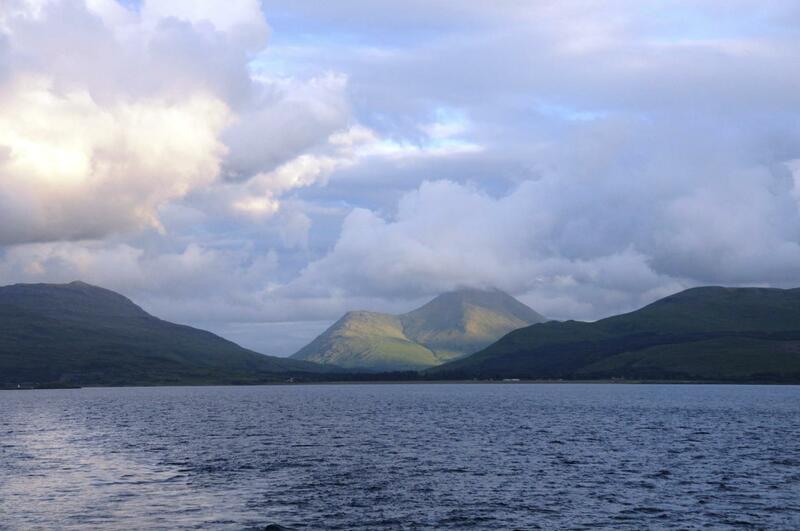 We anchored overnight off the east coast of the Isle of Raasay. 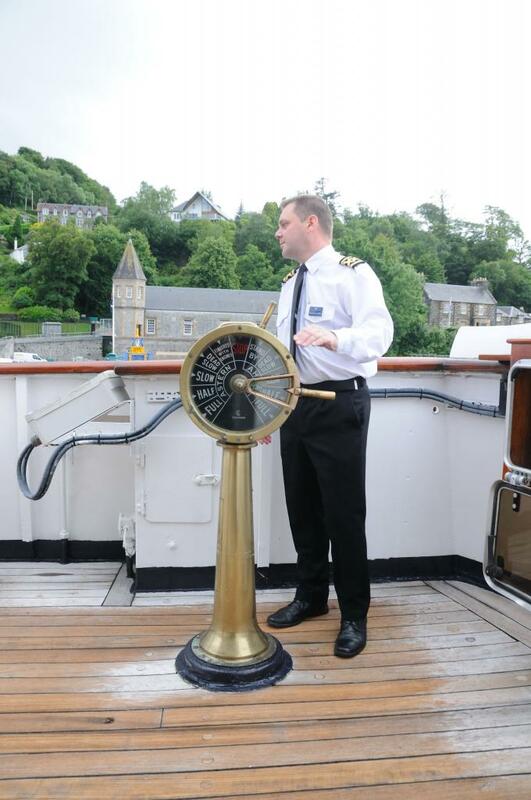 As the ship is leaving Oban for a few weeks, Mr Noorani captured Captain Heaton taking the ship away from the berth. Mr Noorani also photographed the ship leaving Oban in our wake and a great shot taken in the Sound of Mull looking back towards Salen with the evening sun illuminating two of Mull's mountains behind Salen.